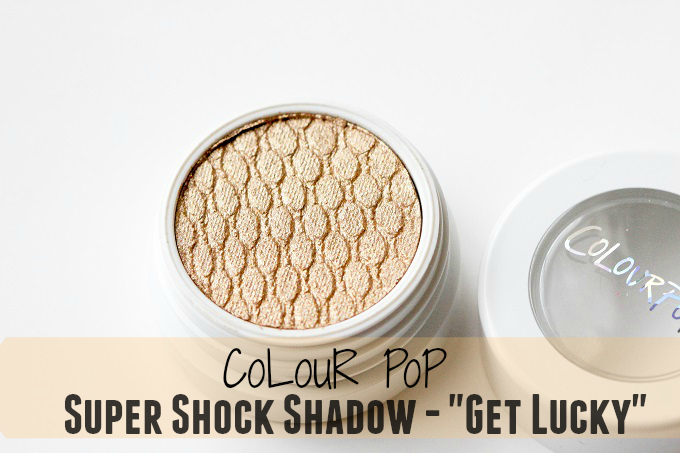 Love, Shelbey: Colour Pop Cosmetics Super Shock Shadow "Get Lucky"
Colour Pop Cosmetics Super Shock Shadow "Get Lucky"
If you aren't familiar with Colour Pop, they exclusively offer eye shadows and lip products, oh and no big deal or anything but everything on their site is $5! On top of the amazing price, the quality is unlike anything I have ever tried. This brand is fabulous! 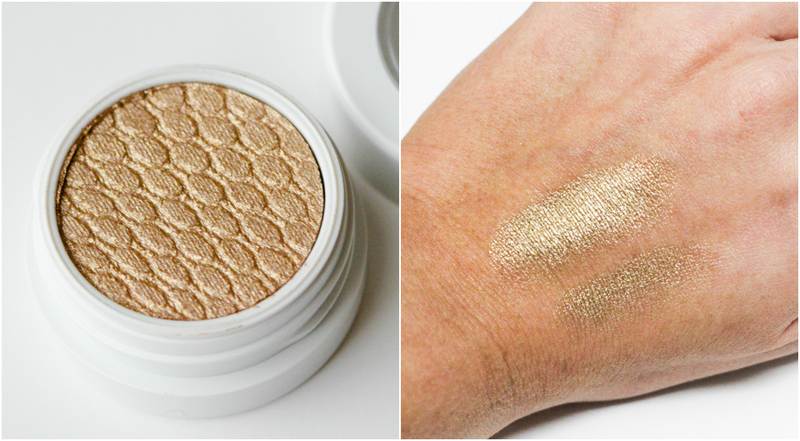 I recently ordered a couple of their Super Shock Shadows, one color being "Get Lucky" which is a beautiful champagne gold shade. The packaging is also very sleek and convenient. I haven't been excited about eye shadow for a loooong time (probably since Naked 3 came out last year) but the price and quality of these shadows has me giddy! "Get Lucky" is the perfect gold color. Not too yellow, and not too deep. 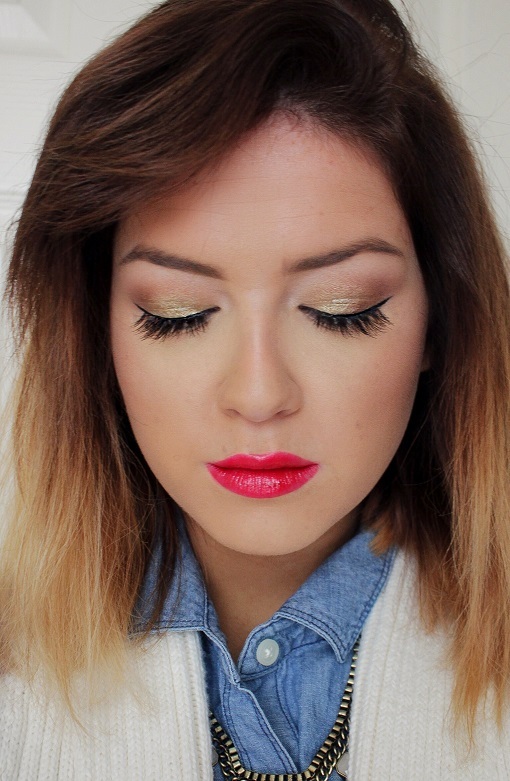 It's perfect for a festive holiday makeup look or every day use. If you guys haven't tried Colour Pop yet, I highly suggest it. Fair warming, you will become addicted! Both their shadows and lip products are to die for! I cannot get enough and can't wait to share the other shades and products for you guys! I love ColourPop and this color is gorgeous on you! That gold shade looks beautiful! I ordered a bunch of Colour Pop eyeshadows and lippie stix about a week ago, I can't wait for them to get here so I can try them out! These eyeshadows look amazing, particularly this shade. 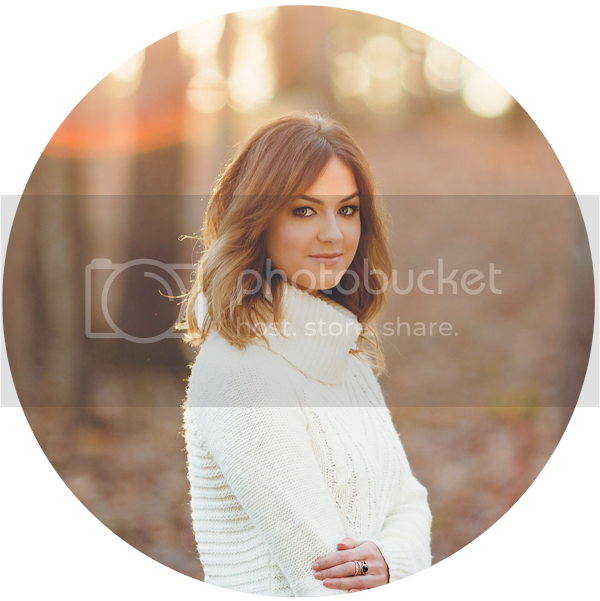 Its perfect for all the holiday festivities and looks great on your skintone. What on earth are you wearing on your lips? It is such a gorgeous color! !